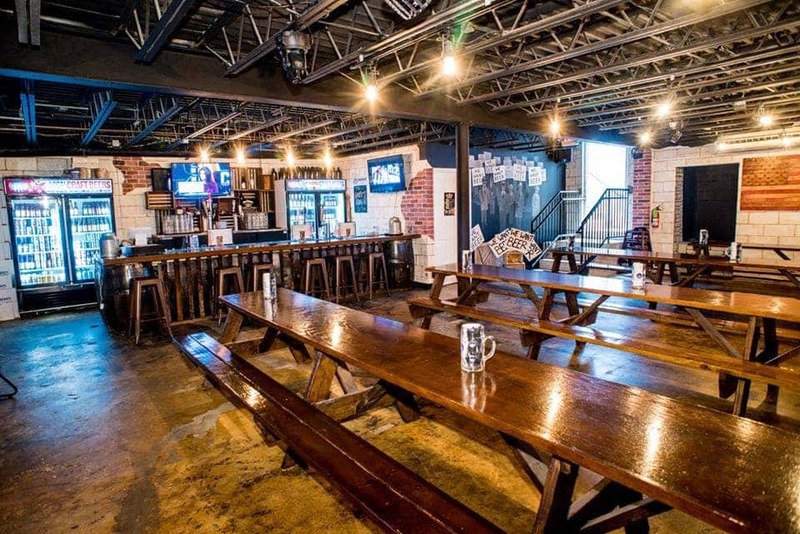 Here at Tysons Biergarten, we care about our community. That’s why, for the second year in a row, we’re teaming up with Tysons Partnership to hold a toy drive for Second Story, a nonprofit just down the road in Vienna that helps disadvantaged youth. On December 18th, we’re holding a holiday party for a group of Second Story children – complete with our owner Matt himself dressed up as Santa Claus. Each child receives a toy, and that’s where we’re asking our Tysons and Vienna community to help us out. We’ll personally ensure that no child is left out of the gift-giving, but we want to make this truly a holiday season to remember, so we hope you’ll consider dropping off your new or gently used toys before 1pm on December 18th. 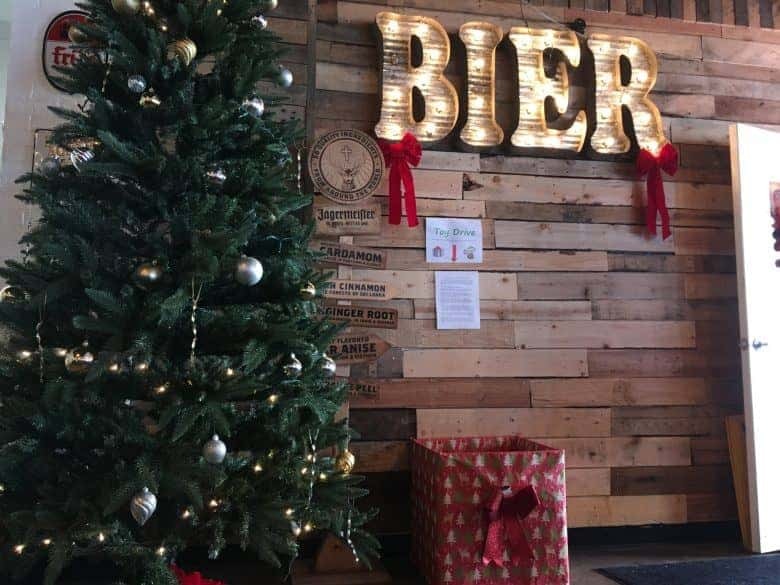 We have a donation box under our Bier sign, right inside our front door, and we hope to fill it to the brim! Let’s show Second Story that we care. For the latest updates, check out the facebook event. 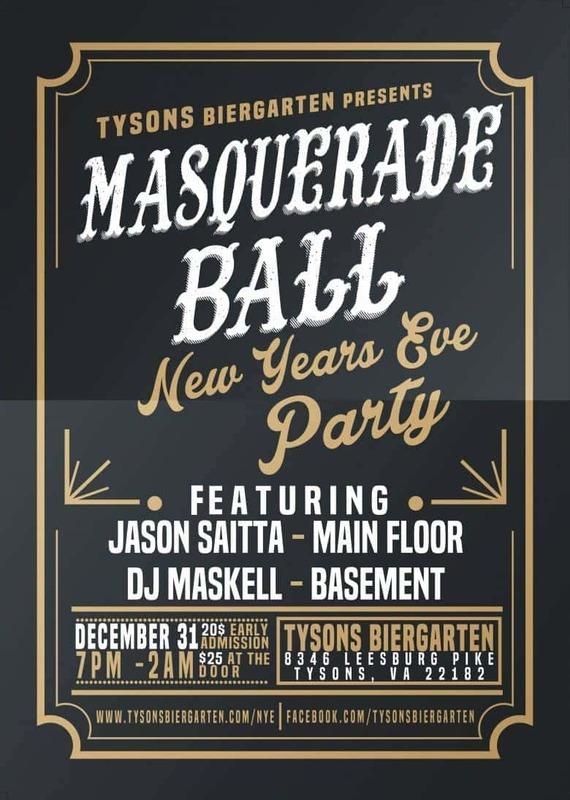 Tysons Biergarten is hosting a Masquerade Ball this New Year’s Eve! Break out the fancy clothes and dust off those masks, this party is going all night long. The first 150 to register online for FREE avoid the $25 door cover charge! Free tickets are now SOLD OUT – but due to the huge interest, early-bird tickets will be $20. Still $25 at the door, so register now! Multi-instrumentalist Jason Saitta will provide live music from 9pm-1am; DJ Maskell will be lighting it up in the basement at the same time! 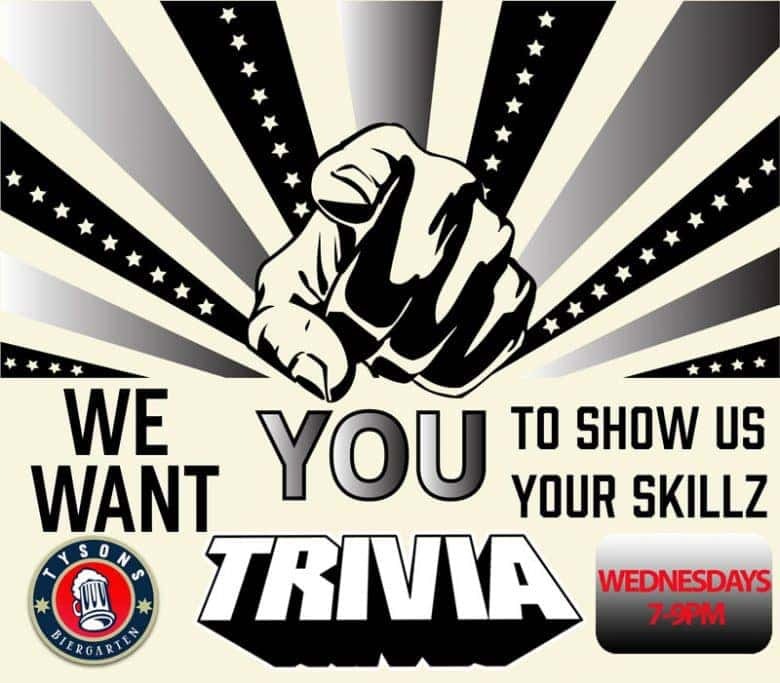 Tysons Biergarten hosts Trivia Night every Wednesday from 7-9pm! No pre-registration necessary, come on in and wow us with your brain smarts! 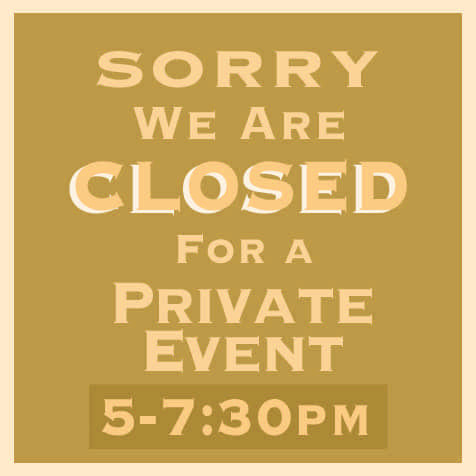 Hello, friends of the Biergarten – today, on Tuesday, 12/19, we will be closing from 5-7:30pm for a private event. We’ll see you before and after! 12/22. 9pm-2am. 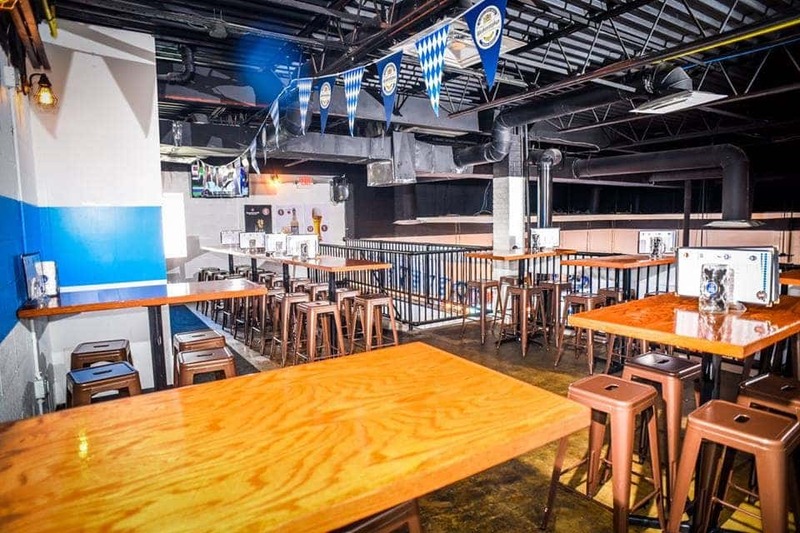 Tysons Biergarten. Ugly, ugly sweaters. Dig out the sweater Great-Aunt Helga got you seven years ago instead of the Xbox you wanted and show it off at the Biergarten! We’re looking for the ugliest sweaters out there – the harder to look at, the better. The wearer of the ugliest sweater will go home with a $100 cash prize! Winner announced at midnight. RSVP on facebook to get the most up-to-date information! Through February, when you mention this offer, your group will receive a 20% overall discount on your bill when reserving space at the Biergarten for events taking place in January or February 2018. Thanksgiving is looming ever closer, and we want to bring you up to speed on what we have planned. 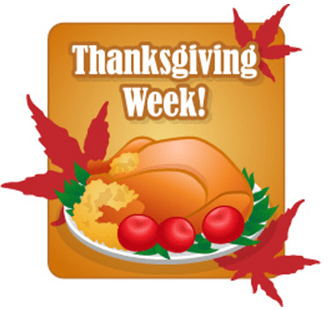 On 11/22, Thanksgiving Wednesday, we’re open all day from 11am-2am! It’s the perfect time to catch up with people you haven’t seen in years. Since it’s also a Craft Brew Wednesday, 2SilosBrewing will be here from 5-7pm handing out delicious samples and talking about their brewery as well. Click here to register for free, and here to RSVP on Facebook. On 11/23, Thanksgiving, we’re having a Butterball Bash! 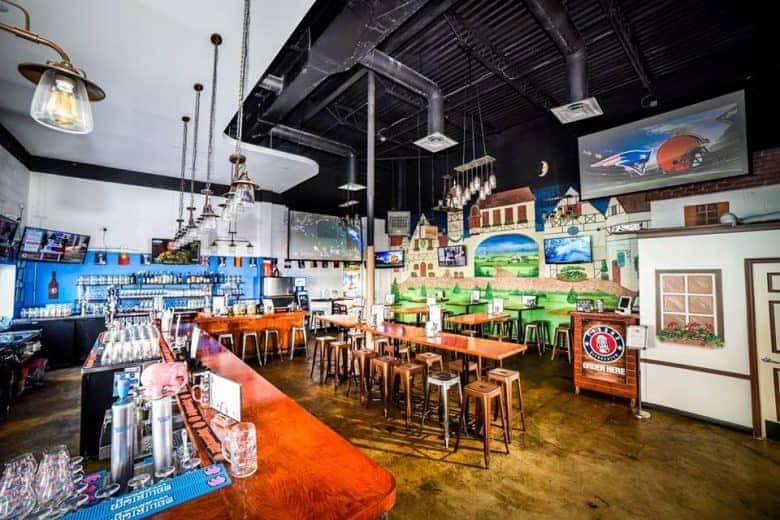 We’re open again from 11am-2am, like every day, and we’ll have football on our HDTVs aaaalllllllll day long. Live music, kitchen open until 1 am, and if you’re not feeling the cooking or catch a second wind, 18 wings for $8. Register for free right here, and RSVP on Facebook here! On 11/25, it’s our Thanksgiving Craft Beer & Wine Festival! It’s… exactly what it sounds like. Beer, wine, live music, vendors, food, and fun! Early-bird tickets available here; entry includes 10 tasting tickets, a color-changing souvenir cup, and the ability to purchase more tasting tickets! Cost goes up to $30 at the door. Get the most up-to-date information on Facebook here. Gather round to hear a true American tale of horror. A long time ago – almost one hundred years – Congress got together and decided that the best way to deal with alcoholism, crime, mental illness, and poverty was to ban alcohol. The 18th Amendment to the Constitution was passed and Prohibition began. American became, ostensibly, a dry nation. These were truly dark days, not least because several professional sports leagues were already established and now there was just no way to deal with being a White Sox fan. During the next decade (more than a decade, in fact), since alcohol was outlawed, only criminals had alcohol. The industry continued to flourish, but went underground, run by mob bosses, smugglers, and bootleggers. It was a story of perseverance; the American impulse to drink runs deep and would not be interrupted by something like the law. Finally, on December 5th, 1933, the 18th Amendment was repealed by the ratification of the 21st Amendment. Alcohol was once again legal in the United States, after 13 long, dry years. And there was, indeed, much rejoicing. December 5th, 2017 is the 84th anniversary of the repeal of Prohibition in the United States. Come celebrate with us in our American Underground speakeasy-themed basement bar and appreciate what once was lost and now is drunk heartily. 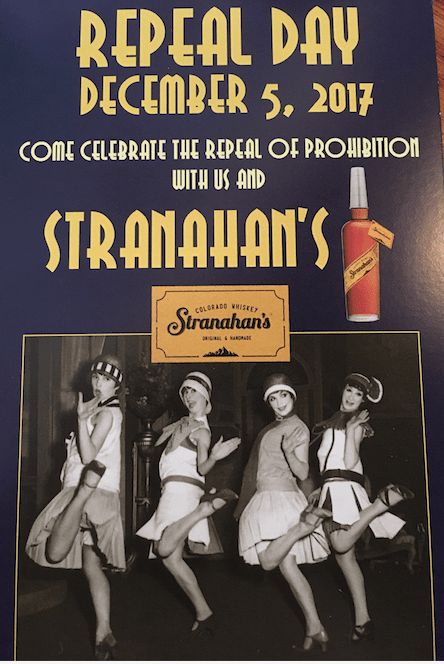 Thanks to Stranahan’s Colorado Whiskey for the posters and also the delicious whiskey.